Cranberries are the group of evergreen dwarf shrubs. Cranberries are healthy as they are low in calories and high in vitamin a,c, k. Cranberry has improved the immune system and decreased blood pressure. Heat oil in a deep pan, add fenugreek seeds, asafoetida when it starts cracking add onion saute it for about 3 to 4minutes.When onion starts changing its color add green chili and add all the spices saute it for 4-5 minutes, add fresh cranberries, saute it for 3-4 minutes then cover it with lid let it steam for 2-3 minutes. Add salt little sprinkle water, saute again and cook 2-3 minutes, spicy cranberry is ready. 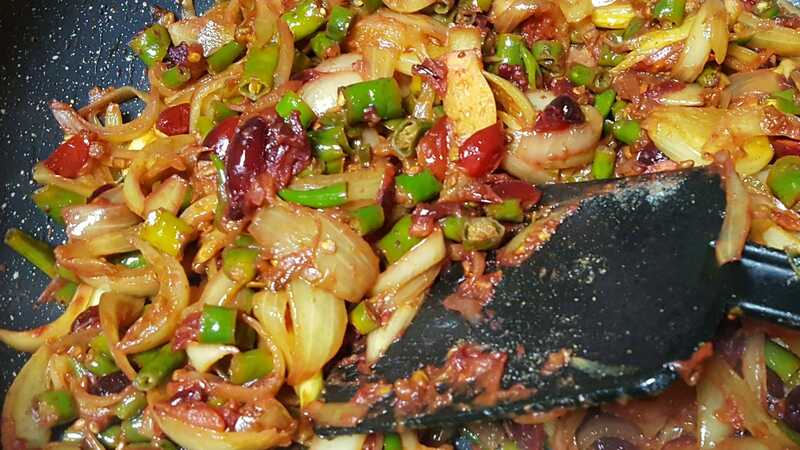 It is very yummy and tasty side dish, Serve it anytime for breakfast, lunch, and dinner time.